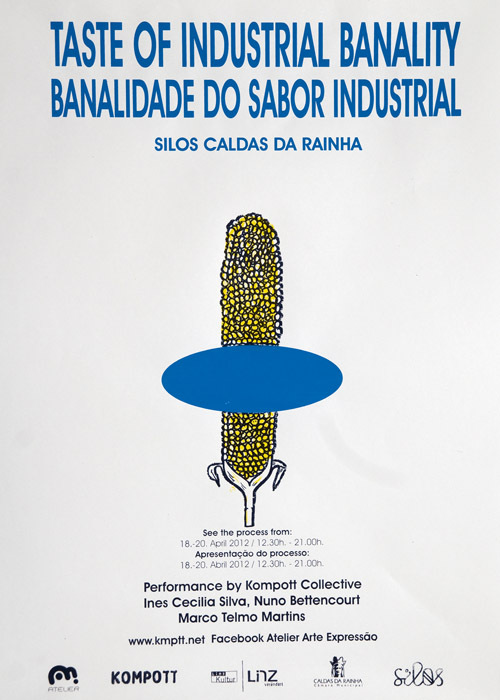 Contrary to European economic crisis, the artist collective Kompott reopens and reactivates the former cerial manufactory in Caldas da Rainha, Portugal, in April 2012. In cooperation with Portugese artists the collective will produce corn flakes in a laboratory situation and in a handmade process step by step. The main focus of the project is based on economic questions of industrial production and on consequences of globalization in Europe, especially in Portugal. As Kompott has dealed with the topic of abandoned places or vacancy in other projects, the former manufactory of Caldas da Rainha will come to life again. is an art collective based in Linz/Austria. We make site-specific art projects since 2007.